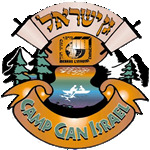 Camp Gan Israel is well known for its program and devoted staff, with our sole interest placed upon giving the best care and attention to every child in camp. Our camp is not just recreational, but also nurtures a growing awareness of Judaism while enjoying the best possible camp experience. Therefore, we cannot afford to exclude any child due to a lack of funds. The fees collected by the parent body cover approximately half of all camp expenses, and we do have many children on scholarship. Especially with this year’s economy we must raise the money to cover the budget. Every individual – and every penny – counts. Please enter the amount you would like to contribute. All donations tax-deductible. I would like to make a recurring gift for the above amount.